From the novel that inspired recent Hollywood blockbuster Paranoia to the best-selling Nick Heller series, thriller legend Joseph Finder has been captivating readers for decades. But with his latest book, the author tells his most personal tale yet as a son’s quest to understand his incapacitated father leads him to a shocking discovery embroiled in political corruption and underworld conspiracies. Finder sat down with The Big Thrill to give readers a glimpse behind the curtain of his latest project, along with some fascinating information about the author himself. I am lucky enough to be able to make things up for a living. I’ve written thirteen books, twelve of them novels, and ten of them standalones. I studied Russian politics and history in college, then went to grad school in Russian studies and taught for a while before I wrote and then sold my first novel, The Moscow Club. Since then I’ve been a full-time novelist. I live in Boston with my wife, our daughter (well, sometimes—she’s in college) and our dog. Tell us about your new book, THE FIXER. THE FIXER is in many ways my most personal book. It’s a standalone story about fathers and sons, written in the wake of my own father’s death. It’s about a man’s discovery of the person his father really was, of the extraordinary things we find out about the people we thought we knew. The story starts with Rick Hoffman, a magazine journalist who finds himself out of a job and in desperate financial straits discovering, hidden in the walls of the old family house where he’s forced to live, millions of dollars. The only person who knows where all that money came from is his father, Lenny—a stroke victim in a nursing home unable to communicate. As Rick investigates, he finds he’s stumbled upon a conspiracy decades old and some very powerful people who don’t want the truth to come out. What was your initial inspiration for THE FIXER? How did the story’s premise develop through the early days of your writing process? The story began simply: what would happen if a guy who’s broke discovers a fantastic sum of money—which he can’t spend? It’s a familiar and classic story, the discovery of money that proves ruinous: in a sense, it’s The Treasure of the Sierra Madre updated. But while I was in the early stages of writing it, my father died, and soon enough I found that the story had morphed into something different—a tale of a son discovering unexpected truths about his father. After all, we only know one thin slice of our parents. There’s always so much more to a parent’s life than a child sees. By the time I was finished, I realized that I had written a different sort of story than I’d set out to write. Normally I outline my plots in advance and stick by the outline fairly closely, departing only if I get a better idea. This time the story had a mind of its own, and the novel ended up more personal and emotionally resonant than I’d planned. How did you research locations, subjects, and other elements for THE FIXER? Any interesting stories there? THE FIXER is set in Boston, which happens to be my own backyard. In the last few decades, Hollywood has given us movies like “The Departed” and “The Town,” about a Boston of organized crime and blue-collar desperation—which is only one aspect of the Boston I know. There’s also a Boston of great wealth, of explosive growth, of endless construction projects, of political corruption, and a Boston of immigrants and poverty. I can’t talk about much of my research without giving away key plot details. But part of the story has to do with an immense construction project known as the Big Dig, which took over Boston for some twenty-five years. I talked to one of the contractors who played a key role in the Big Dig; I also talked to members of the Boston police who were around back then, and journalists who wrote about the culture of corruption, secrets and backroom deals, that inevitably accompanied so massive an urban project. How much of yourself do you put in your characters? With which character in THE FIXER do you most identify? They say that everyone you meet in your dreams is some manifestation of yourself, and that’s true of my fictional characters. It’s fun to imagine characters that have nothing in common with myself, but the process of imagining them means that I have to ask, “Well, how would I do it if . . .” So in some sense, they’re all me, including the villains. Rick Hoffman is probably the character I identify with most (though I’m a lot better off than Rick is at the beginning of the book!). He’s an investigative journalist who abandoned his calling, whereas I started out as an investigative journalist who found a calling—novel writing—that was much more appealing. There were a couple. Rick has a friend and former colleague, an old-school reporter named Monica Kennedy who’s at the Boston Globe and still fighting the good fight. Monica’s not based on anyone specific, but she’s one of those iconic figures in crime fiction, the grizzled cynic who’s not so secretly an idealist, and loyal to the end. She’s a jaded, blunt-speaking journalist whose bark is worse than her bite. I had a lot of fun with Monica. The other character I particularly enjoyed writing is a profane and brilliant “fixer” named Pappas who always operates in the shadows, is always a step ahead, and makes it his mission to find out everything he can about people with whom he does battle. While many modern thriller writers focus on a series or two, you have had tremendous success writing standalone novels almost exclusively. What sort of advantages and disadvantages have you experienced with your standalones vs. your Nick Heller series? Do you have plans to return to any previous protagonists in future books? For a long time I wrote only standalones, because I couldn’t imagine keeping a character fresh, book after book. I also didn’t want to write the sort of character that’s already being done so well by some of my colleagues in the mystery/thriller field. (As long as Mike Connelly is writing Harry Bosch, it’s tough to imagine coming up with a homicide detective character that feels original.) But several years ago I had dinner with an old friend who’d been a CIA operative, but was now working in the private sector—as a sort of “private spy.” He told me about how thousands of people have left the CIA to go private. And it struck me—not private eye, but private spy! Very quickly I came up with my character, Nick Heller, a guy who worked in military intelligence and has now gone private. He’s a spy for hire who detests government bureaucracy and is something of a contrarian—and has a strong code of honor. With work like that, Nick Heller can get involved in almost anything. I was also pleasantly surprised by how good it feels to return to a set of characters I know so well—not just Nick, but Nick’s assistant Dorothy, his nephew Gabe, his mother, and others. When I switched publishers, I stopped work on Nick Heller #3 to write two standalones, but I recently went back to work on that third Nick Heller novel, and it was like sitting down for dinner with old friends. Speaking of sitting down, when sitting down to write a new book, how much of an outline or plan do you usually create before launching into the first draft? The comparison I always use is planning a road trip. When I sit down to write a book, I know how it begins, and I know how it ends. I know a few things that happen along the way, some key reversals and reveals. So I do map it out, but I don’t do it in so much detail that I can’t take detours along the way. Sometimes those detours become my favorite parts of the book. And in the case of THE FIXER, that detour took me to a new destination. So sometimes the best-planned novel can turn out to be about something else entirely. Always a tough question, and on any given day you’ll get a different answer. Today I’ll say Marathon Man by William Goldman, which is a master class in plot, pacing and character revealed by action. It’s a book I go back to at regular intervals, just to see how he does it. Another hard question, with multiple answers—but I’ll say Italy. My wife and I went there on our honeymoon. We started in Rome, where I had my pocket picked and wound up turning the thief into a source and a friend. Then we went to Tuscany, and we’ve been back a number of times. Tuscany in September—it just doesn’t get any better or more beautiful than that. If you could have dinner with any one person, dead or alive, who would it be and what would you talk about? I’d love to have dinner with Winston Churchill and talk with him about what’s going on in the world today and how screwed up everything seems to be, how intractable some of our global conflicts are, and get his take on it all. I have a feeling he’d know what to do. What is your favorite period in history (get as specific as you want, e.g. France during the reign of King Louis XIV, etc.)? If given the opportunity to time travel there, would you go? Why or why not? Two things: I like indoor plumbing, love my showers, and I require coffee. And as fascinated as I am by the Italian Renaissance, I think I’d probably want to visit Boston during the American Revolution. (I read Johnny Tremain at an impressionable age.) That was a time of huge excitement, of heroes and intrigue. I’d particularly love to witness the Boston Tea Party, which launched coffee as our national beverage. I’d somehow deal with the outdoor plumbing part. If you had the opportunity to freely explore any secure location (palaces, bunkers, secret bases, corporate headquarters, abandoned sites) from anywhere in the world, where would you go and what would you do? I’ve been in the White House Situation Room, which is not as impressive as it is on TV. So that’s out. I guess I’d like to see Cheyenne Mountain, the nuclear bunker and command center for U.S. and NORAD. Having that complete control of the world and the characters I’m creating, and then seeing readers react to what I’ve written. Readers often find things in the books that surprise me, which always feels a little like magic. What is one thing that would surprise your readers about you or your writing process? I believe in naps. Especially toward the end of a book, I might get up extremely early in the morning to start writing—and I mean early, like 4:00 a.m. early. And I might stay up extremely late to keep writing, well past midnight. In between, I nap. A good nap can be remarkably productive. It charges the batteries. What advice would you give to new or aspiring authors who look up to you? Keep reading, keep writing, and don’t be afraid to imitate the authors you admire. That’s how I learned, that’s how everybody learns: find the good stuff, and try to write like that. Eventually you’ll find your own voice. The third Nick Heller novel, which doesn’t have a title yet, should be out around this time next year. In the meantime, readers can find me on Facebook and Twitter (@JoeFinder), and can sign up for my newsletter here. Thanks! If you’re looking for the perfect summer read, THE FIXER is a captivating thriller with heart, penned by a modern master of the genre. 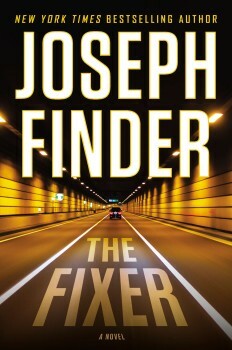 Mark your calendars for excitement, because Joseph Finder’s latest arrives in bookstores June 9. 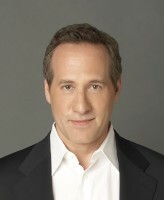 Joseph Finder is the New York Times bestselling author of eleven previous novels, including Suspicion, Vanished, and Buried Secrets. Finder’s international bestseller Killer Instinct won ITW’s Thriller Award for Best Novel in 2006. Other bestselling titles include Paranoia and High Crimes, both of which became major motion pictures. He lives in Boston.